The BA program in English and American Studies takes 3 years and it allows students to improve their English language and get acquainted with English and American history, literature, and culture. Graduates may continue in their MA studies or find interesting positions requiring knowledge of the English language and English-speaking countries. The program provides students with knowledge concerning the English language, culture, and society of English-speaking countries. 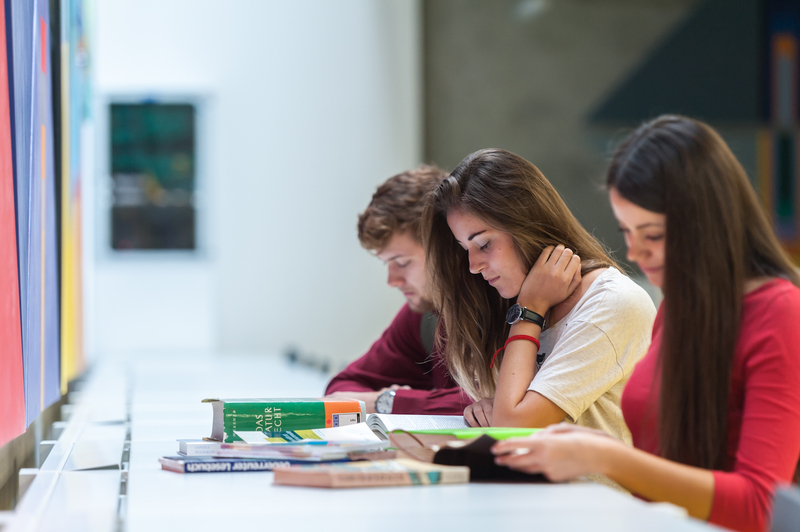 The courses cover a range of linguistic and literary disciplines together with theories of translation in an appropriate depth with an aim to prepare graduates who will be able to continuously familiarise themselves with the latest scientific research in the field of English linguistics and literary studies. To accomplish this, the program also includes a wide range of elective courses focusing on literature, culture, modern social media, etc. Advanced level in oral and written communication in English. Ability to analyse various types of texts and media content in English. Understanding of the culture in English-speaking countries. Knowledge of the most important developments in the English language and in the English-speaking countries literature. Ability to critically analyse and creatively discuss various topics in English. Basic skills in translation and interpretation. To apply, all the applicants must have a completed high school (secondary school) education. An entrance exam consists of an oral interview (a Skype interview is possible) focusing on the motivation and abilities of the applicants to pursue higher education. Applicants are asked to submit an application form (printed or online application form), a curriculum vitae, a verified copy of their high school (secondary school) diploma (graduates from abroad are asked to submit a copy of a recognition of their education) and a receipt of payment of the application fee (30,- EUR for a printed application or 25,- EUR for an online application). We are happy to assist our applicants should they need it, or provide them with more information. - Free/no tuition fee for students from the EU countries, Belarus, Serbia, Ukraine etc.